Guests who have had the chance to taste Lithology’s inaugural 2014 vintage have considered it one of the best wines in line-ups for their wine tastings at K. LAZ. Yet this 2015 release is even better and more than delivers at its respective price. 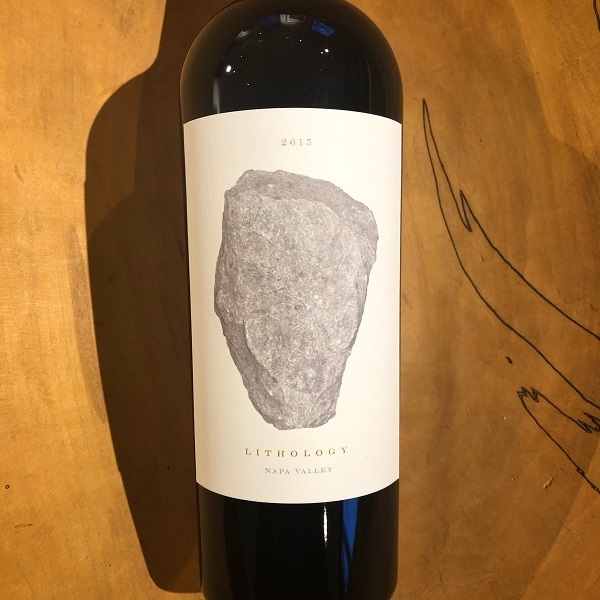 The 2015 Lithology is comprised of Cabernet Sauvignon Clones 4 and 337 from the Rutherford, Oakville, and Saint Helena AVAs and Pritchard Hill and was made by Philippe Melka. There is a bit less new French oak than the proprietary AB Cabernet described above, which makes it delicious & giving upon opening. “Aromas of baked plums, black cherry, blueberry compote and vanilla bean evolve into black currant and blackberry on the palate with coffee bean and milk chocolate rounding out the experience. Fine grain tannins treat the palate to a rich, luxurious texture refreshed by mouthwatering acidity in this long finish.” 568 cases were produced.